A movie is much more than just the story happening on screen. To be truly cinematic, a master filmmaker will combine images, prose, performance, and sound to add depth that wouldn’t exist otherwise. As such, a strict book adaptation on screen simply can’t compete with the source material- not unless the screenplay captures the nuances of the narrative and the director achieves a unique creative vision. That’s what elevated The Godfather from a good book into a legendary picture. English teachers might argue that film is easier to digest than written words because, well, you have something going on in front of you. And that’s often the case, most movies are simplifications of written material. However, when you’re watching a work by the likes of Stanley Kubrick, there’s quite a bit of nonverbal communication going on. Music is used in a subversive manner. A cut or edit could give you a subtle hint at someone’s intent. Characters even contradict their own dialogue. Suddenly, the open nature of those words becomes an enigma. Which leads to a tricky question: How do you separate an intentional idea vs pure conjecture? 1) Was the movie produced with more consideration to the box office or an artistic vision? Film is an art, but it is also a business. Even a maverick director has to make compromises, and if they produce several bombs, it could spell the end of their career. While big-budget pictures do benefit from huge amounts of resources and personnel, there is no end to executive tampering. On the other hand, an indie director might have complete creative control, but not enough capital to get the shots they way they envisioned. Therefore, it is pointless to compare something like the Transformers franchise to David Lynch’s Eraserhead. One could argue that the hardest feat as a filmmaker is to bring your vision to life, while also pleasing the studio, your audience and the critics- and not going bankrupt in the process. Francis Ford Coppola came close to failing all of those measures due to terrible luck on the set of Apocalypse Now, but he saved it through the sheer power of will. Knowing a movie’s background should not define the whole viewing experience, but it is worth considering the obstacles the production faced and what it was seeking to accomplish. 2) How does the narrative fit into a genre? If you’re watching a rom-com, you probably won’t be seeing a spontaneous dimensional rift. Every film has some unpredictable element to it, but most play genre expectations straight and adhere to a conventional structure so directors have a foundation to work with. As you would expect, the type of film you’re watching often indicates the style of communication going on. A horror movie is tailored to creep you out. The sets feel isolated, the music is ominous, and the editing is used to confuse you. 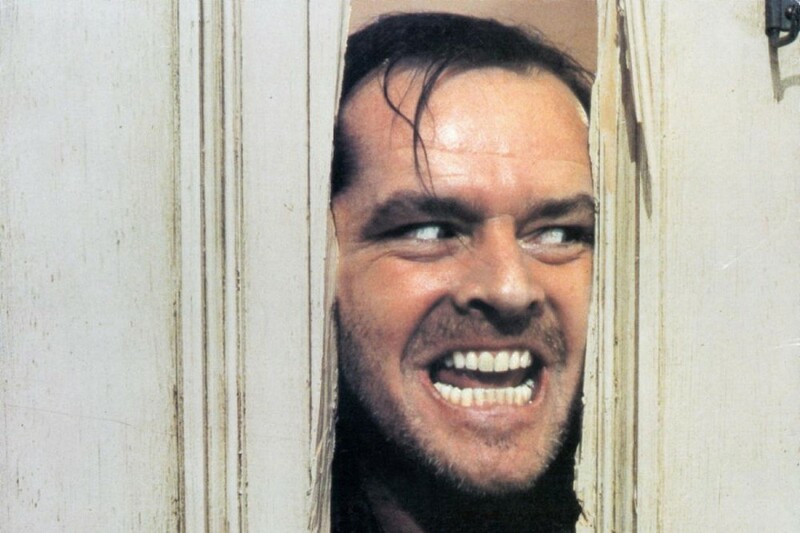 The Shining has a tremendous following because it’s scary and unsettling on the surface, but there’s also a plethora of subtle themes. On the other side of the coin, a genre-savvy filmmaker might use the guise of a genre just to trick you and subvert your expectations. David Cronenberg’s A History of Violence appears to be a standard comeuppance story, but it avoids the common black and white clichés. Each character is a different shade of gray and there are no Hollywood arcs for anyone. Likable characters fight and even kill villains in self-defense, but there is never a real sense of victory or relief. Instead, each conflict causes personal rifts and creates more violence, much like real life. 3) What do the characters represent? In most films, characters are brought together to highlight their differences. Captain Jack Sparrow, a rambunctious rebel who wants freedom and treasure, teams up with the quiet Will Turner, who seeks to save his love. 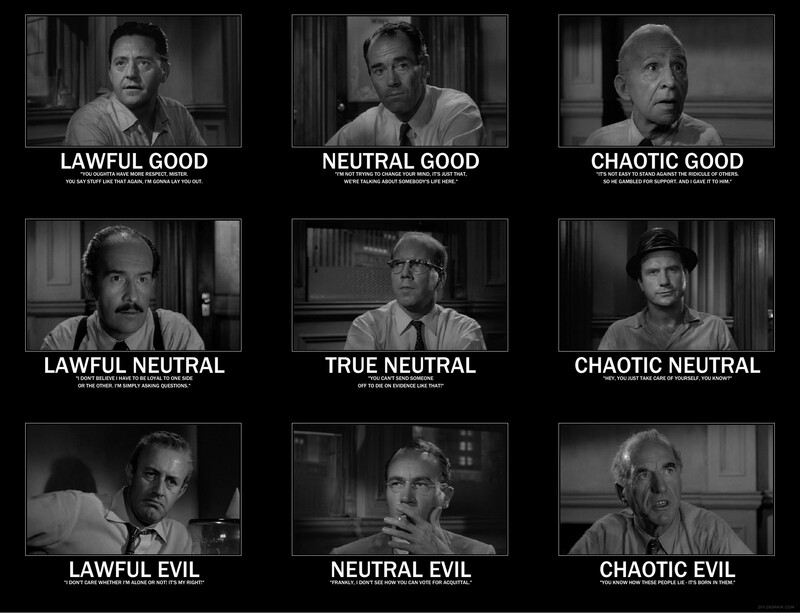 12 Angry Men pits jurors against one another and contrasts competing views on criminality. In Jaws, the third act hones in on killing the shark, but it is just as much about the tension between the working class ship captain, the middle class police chief, and the rich marine biologist. Another great use of character contrast is an ensemble movie called Sunshine. This film tackles ideas of humanity and features characters with clear, conflicting ideologies. It is played out practically for drama, but it also serves to show differences in reasoning and represents a spectrum of faith, from atheism to fundamentalism. 4) How does the production make use of colors? Costumes and set design are key blocks in world building. Directors like Stanley Kubrick or Wes Anderson are immediately recognizable because of how their scenes are framed and their choices in color palate. These visual decisions can serve to communicate on a practical level, such as setting the mood, but they can even operate on a subliminal level. What a character wears is no different. Even in biopics and period pieces where authenticity is crucial, the wardrobe department will find contrasting colors for performers to wear to denote separate, unique identities on screen. A character’s appearance or choice of garb can tell us a little about them and even communicate their direction. On rare occasion, choices in costume color can be crucial to the climax. It is worth mentioning that tons of movies use red for their most impactful visuals- blood, a dress, a weapon, you name it. 5) Does the filmmaker utilize sound in a unique way? Anyone who has watched a popular film knows the importance of a memorable soundtrack. Music (or lack thereof) sets much of the emotion behind the action and performances onscreen. Some directors arrange eclectic mixes to set a tone or draw from an era they feel is relevant. Others might use songs in a more ironic fashion. Sound effects are also essential. Take the iconic Star Wars cantina sequence, for example. Each and every species in Mos Eisley is either some extra in a costume or an elaborate puppet, but the alien clamor is what sells the atmosphere. The blaster that Han pulls on Greedo sounds nothing like a realistic pistol, it sounds like a laser. Not to mention that if that lightsaber was just a stick with a light added later on it would never have stuck. By creating those otherworldly sounds, George Lucas launched his film from lame B movie territory into a fascinating universe. To go a step deeper, look for how a filmmaker uses the atmosphere and ambiance to make you feel tension. 6) Do any lines or set pieces foreshadow what is to come? “Salvation lies within.” “You’ve got red on you.” “You either die a hero or live long enough to see yourself become the villain.” These are all examples of thematic or humorous words meant to echo later on. However, they only scratch the surface of how much a director might weave into a narrative, especially since background set pieces are common foreshadowing motifs. The opening to Reservoir Dogs could be a master class in foreshadowing. (Spoiler alert) Every character who is relevant later on reveals their personality. Mr. Pink is a contrarian and isn’t afraid to stand by what’s right by him. Mr. Blonde makes a subtle gesture and it won’t be the last time. Mr. White seems to be mentoring Mr. Orange, who throws Mr. Pink under the bus. Even though the rat’s identity is a secret early on, Tarantino practically throws it in your face. Just look at the color of the opening title text. Some professors use this phrase to explain film theory. For the purpose of this measure, characters are just tools to communicate a larger message of either the historical context or political, social, and economic themes. One obvious example is if a movie takes place during a different time period. Many biopics try to recreate the era in which they take place, but are made because those themes feel relevant to contemporary audiences. 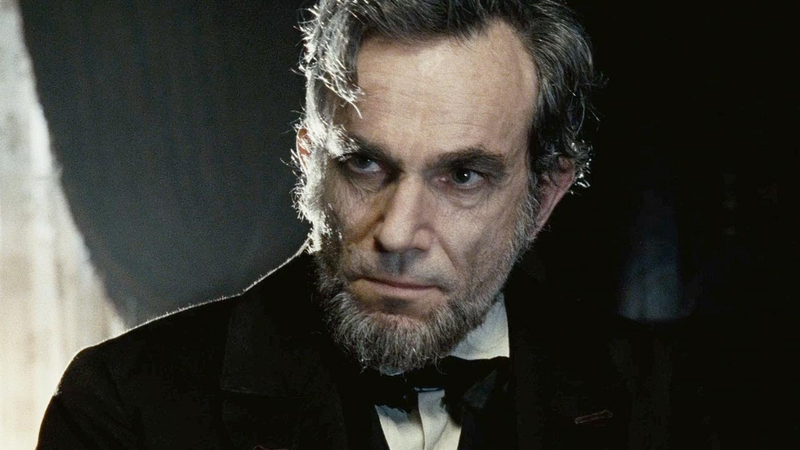 Lincoln is about passing the 13th Amendment in an era with heavy obstructionism in the House of Congress, but it was also a fitting reminder about the cycles of bipartisan democracy. Another example is if a film has indirect metaphors. These can be more subjective, but one film with widely accepted interpretations is Robocop. In this flick, a policeman is saved from injuries and converted into a crime-fighting robot. It’s a ridiculous concept on the surface, but those who pay attention to the world building will find smart satire. How? Throughout the film, it is clear that we’re seeing a glimpse into a dystopian America where crime has gone from bad to worse, our culture has produced brainless consumers, and Reaganomics has enabled real monsters to run rampant. These criteria aren’t necessarily a standard to determine the quality of a movie, since simple can be better- but they are a great way to pick a film apart, frame by frame. Looking out for these core elements will make viewing any film more rewarding, whether it’s a new one or an old favorite. Previous The Academy Awards: Do They Matter?